What do you do with your player’s old jerseys? Hang them in the back of the closet? Put them away in a drawer or box? 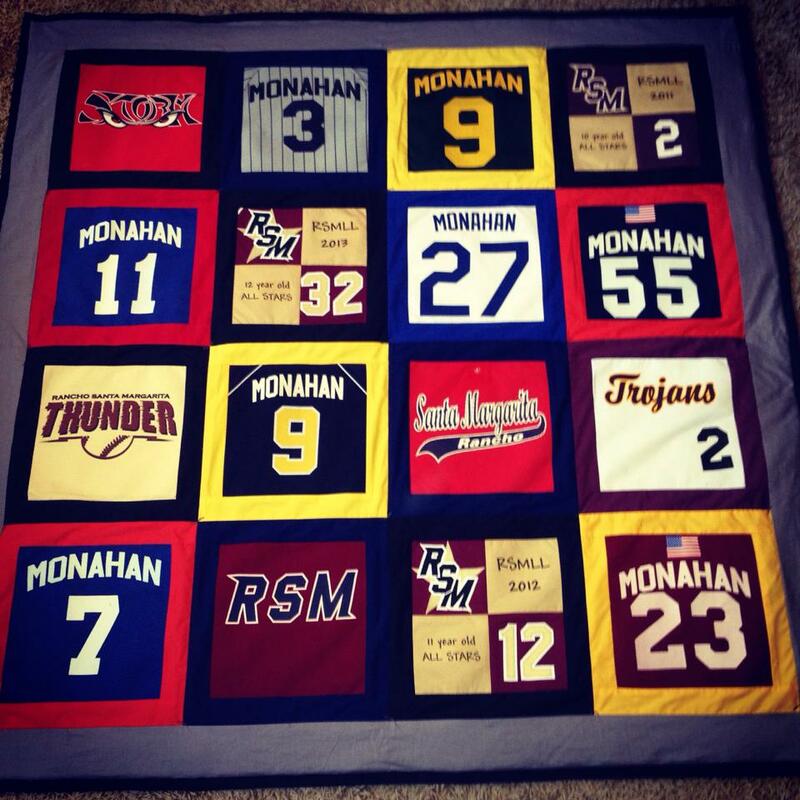 Or…make a baseball jersey quilt. A friend of mine did this quilt for her son. What a great keepsake. Not sure if she does this for others, but if she does, you will have to get in line behind me.